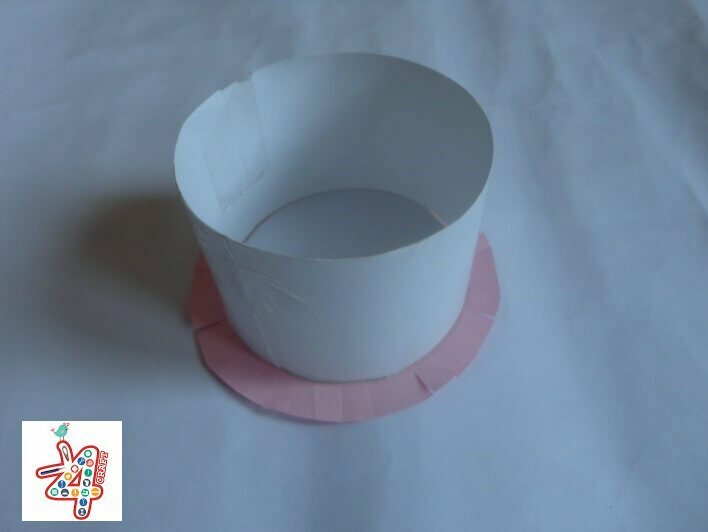 We will see how to make a Jewelery box using tissue papers. 1. 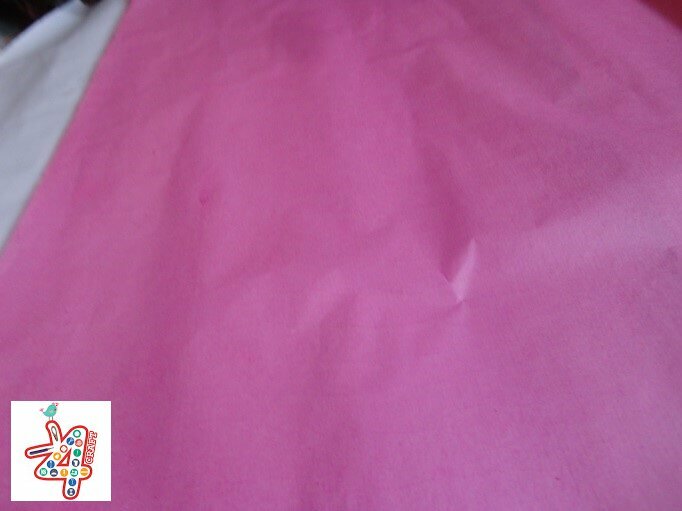 First take Pink colour tissue paper. 2. 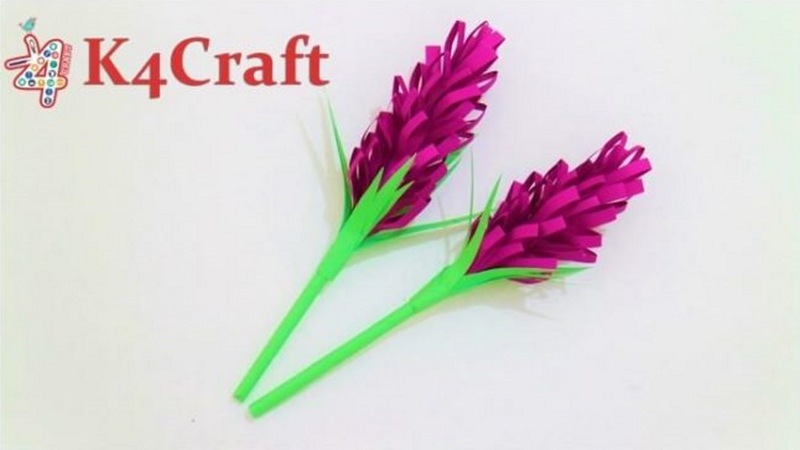 Cut some tissue paper strips from it. 3. 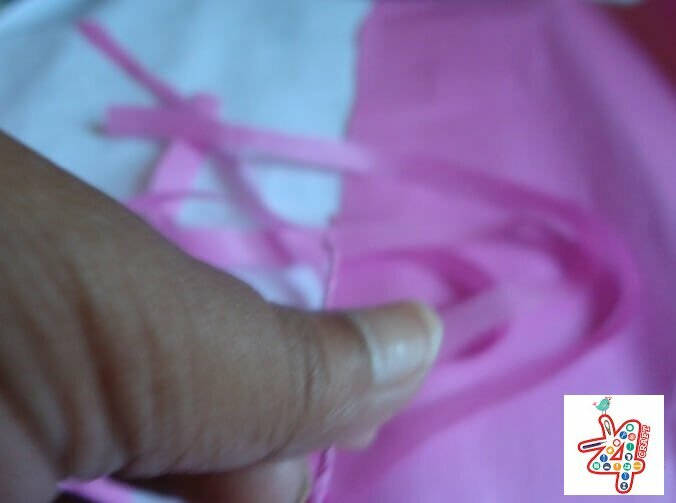 Make the tissue paper strips into thread using fingers. 4. 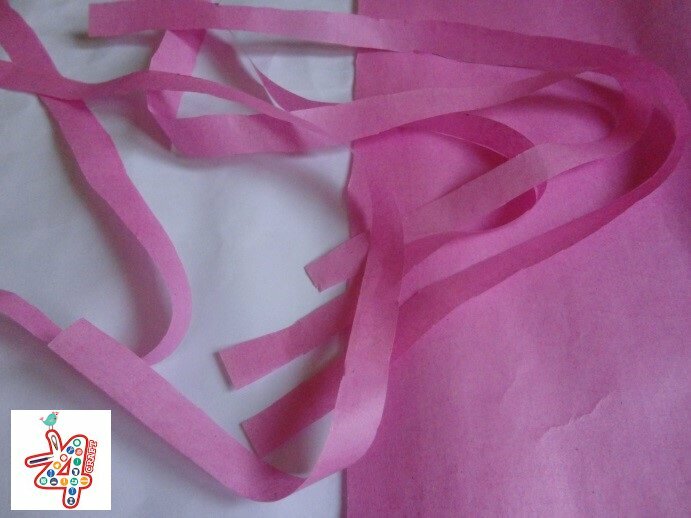 Now you can have pink colour tissue paper threads like this. 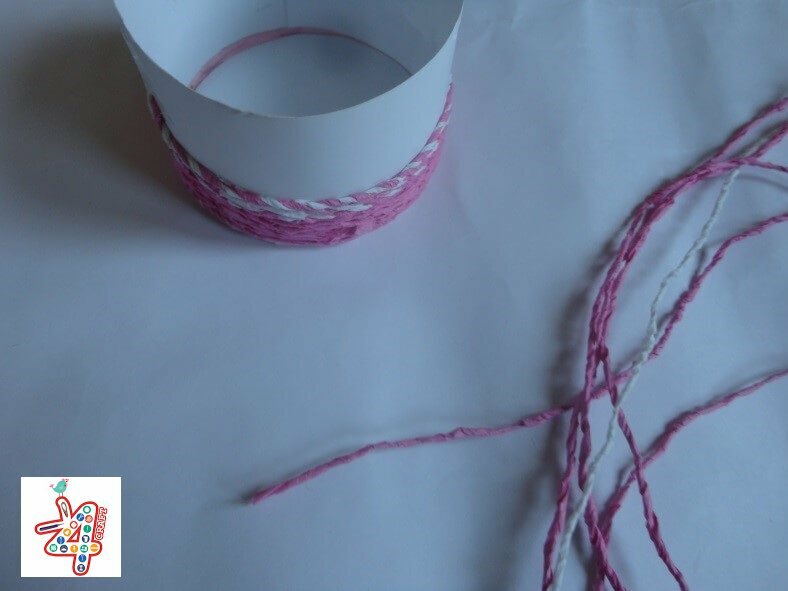 Make white colour threads. 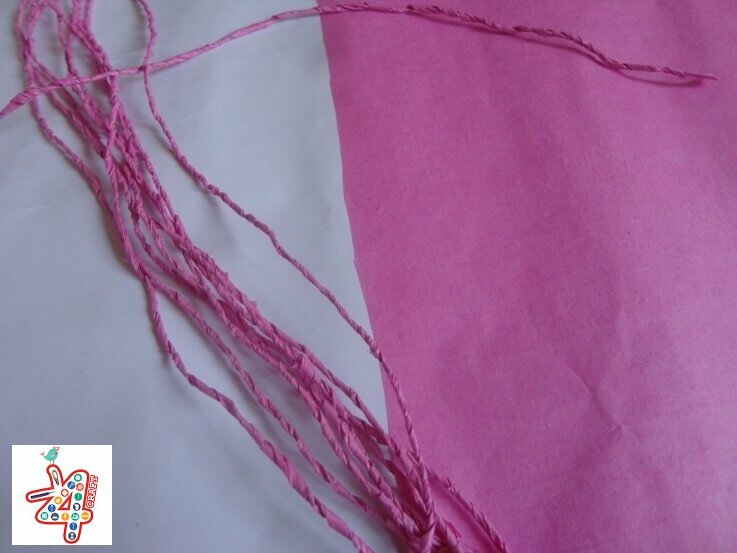 Take pink colour thread and white colour thread and make some mix colour threads. 5. 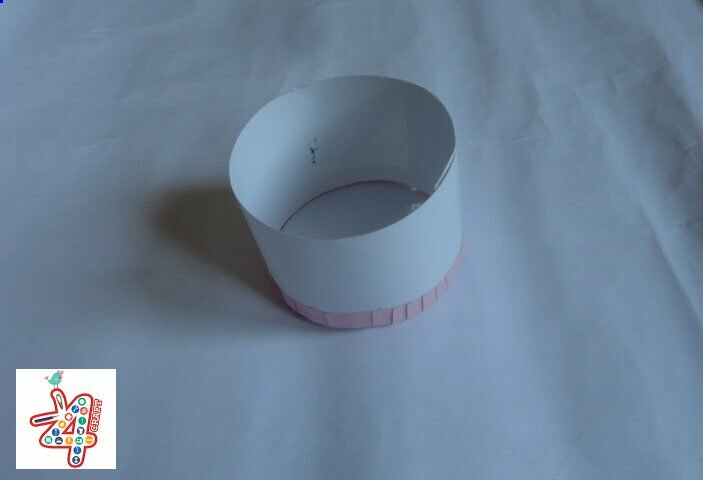 To make round shape jewelry box cut two circles from Bristol board and also two circles from pink colour A4 sheet as given below. 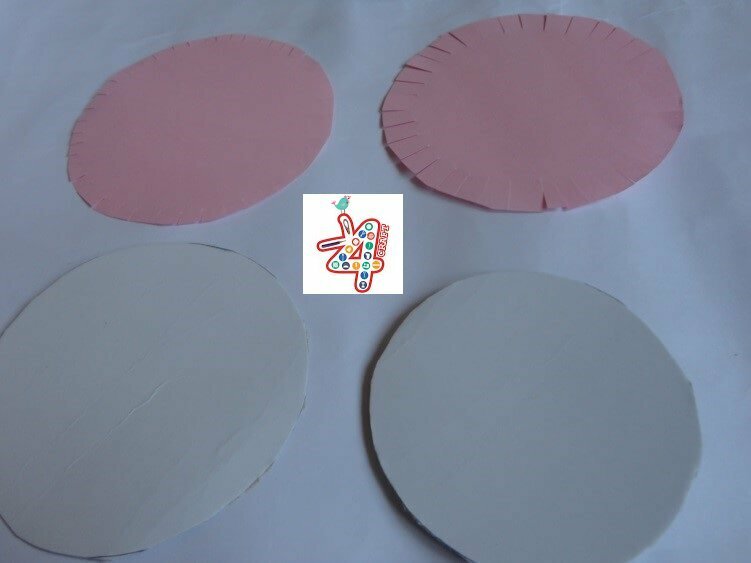 Paste the Bristol board circles on the pink colour circles. 6. 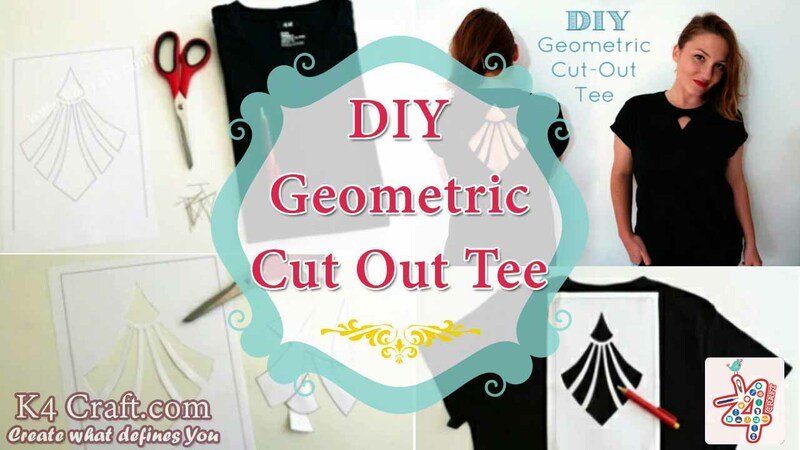 Take a Bristol board and cut it according to height you required and the diameter you required and make the body of the jewelry box using cello tape. 7. Keep it on the bottom circle. 8. 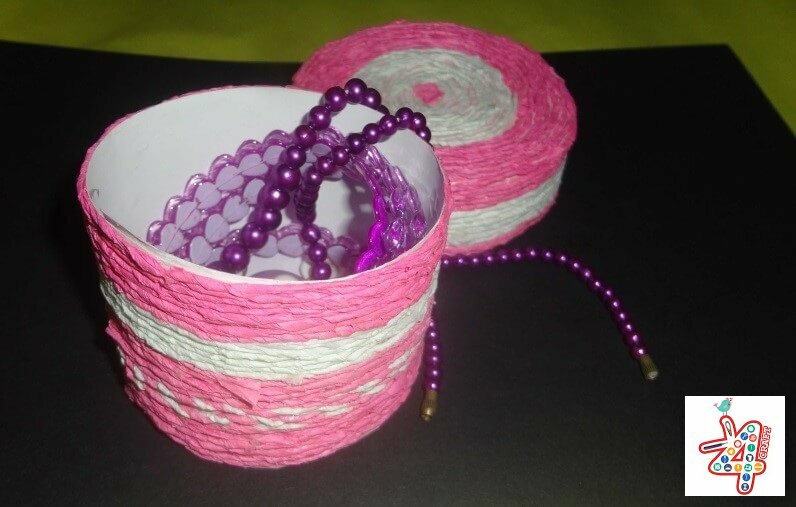 Now paste the jewelry box bottom part into the body as given below. 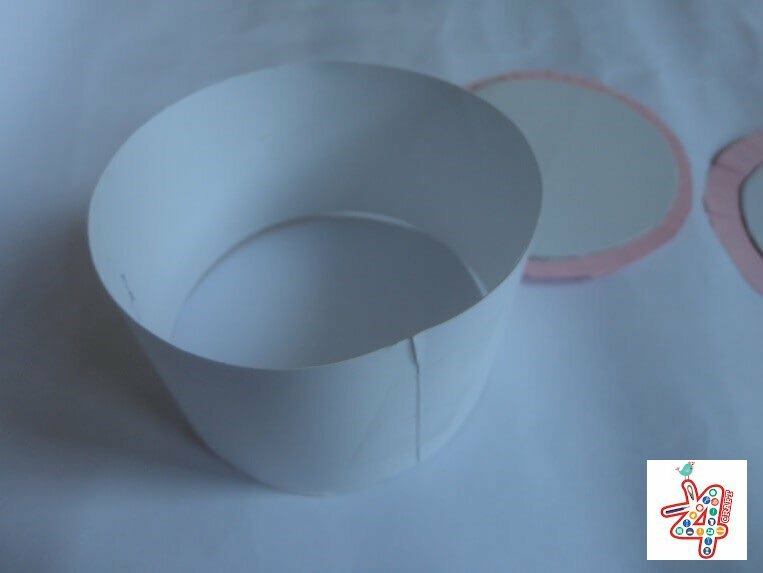 Same way make the lid from other circle. 9. 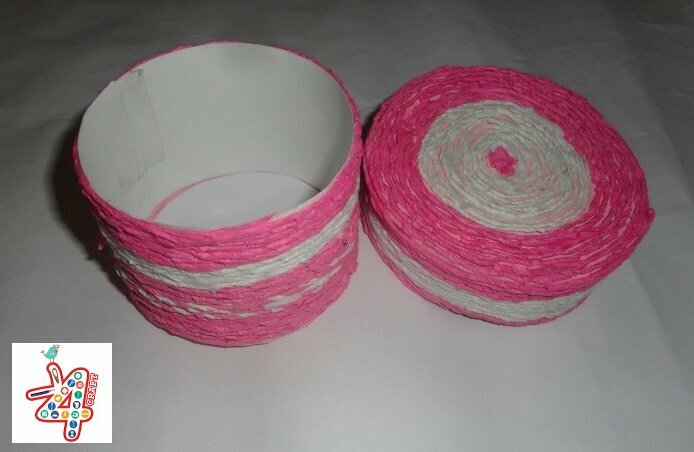 Now paste the tissue paper threads as given below in the box. 10. After pasting you can see it as given below. 11. 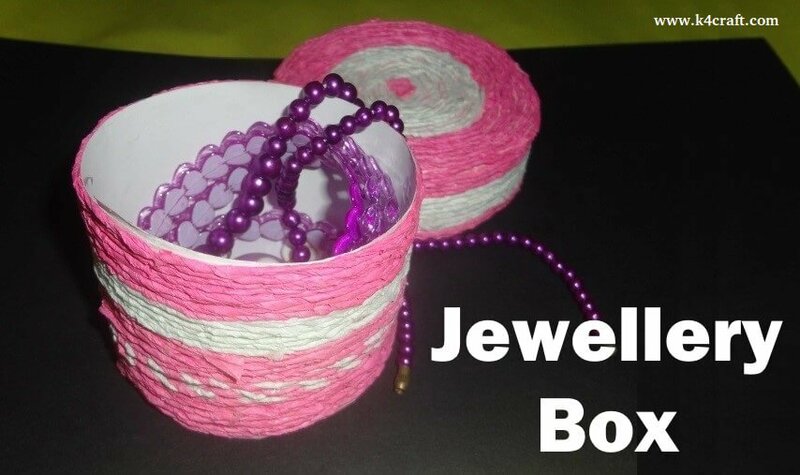 You can use this to store your jewelries.